Cask is proud to be a sponsor of the 11th annual ServiceNow Knowledge Conference. 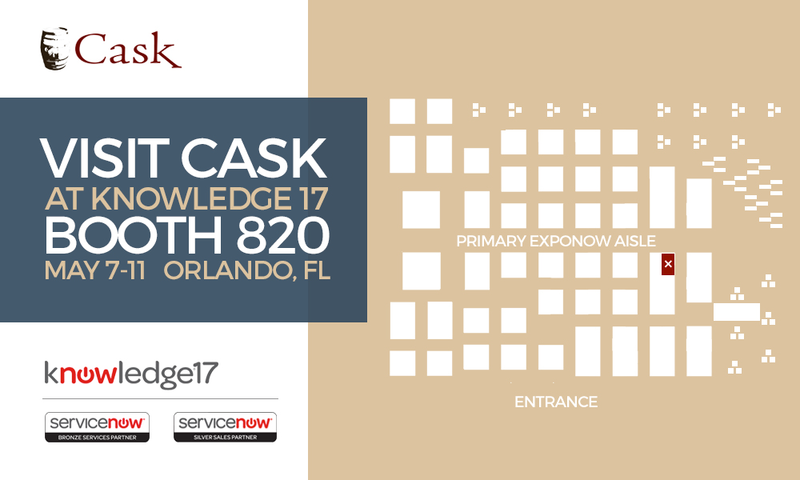 Make sure to stop at Cask’s booth, #820, to be up to date on Cask’s offerings and learn from our customer success stories how we helped in their ServiceNow journey. When entering the showroom, we are located at the end of the Primary ExpoNow aisle on the right side. Take a moment to speak with our expert advisors tohow we can help transform your organization. Mention this post to receive a special gift at our booth !